It looks crazy but it just might work. 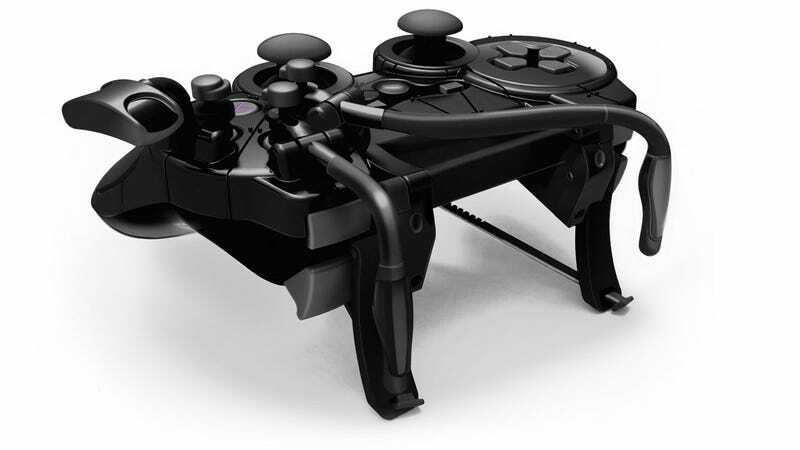 N-Control has opened up preorders for the PlayStation 3 version of its Avenger controller cover, adding levers, pulleys, and other odds and ends to a controller design that's worked perfectly well for over a decade. The Avenger is meant to improve controller reaction times, giving players of games like Activision's upcoming Modern Warfare 3 an advantage over their non-cybernetically enhanced controller using rivals. Ashcraft seemed to like the Xbox 360 version well enough, so maybe this is a thing you would like to have. If so, you might want to hit up the preorder page quickly; N-Control is only releasing 5,000 units of the $48.99 device this November.